Hello my lovely readers, I hope you had a great Halloween. Today I’m talking about why I choose to wear the poppy. First I should explain what I mean by the poppy, the poppy is a symbol used by the Royal British Legion. Every year they launch their “poppy appeal” around October and carrying on into November in order to coincide with the armistice of WW1 on the 11th of November. The poppy appeal sees many people young and old, selling paper poppies (as well as other poppy items like car stickers and crosses) to raise money for the Royal British Legion. I myself was a poppy seller for last year’s campaign. 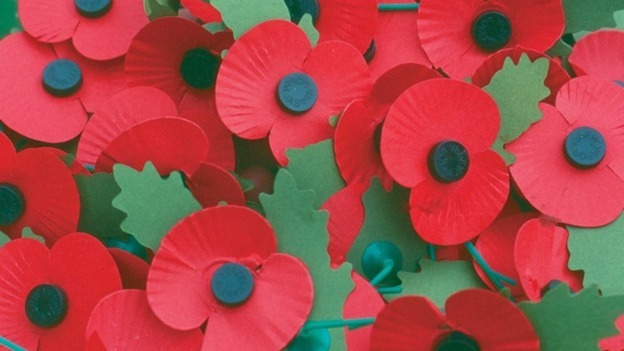 Each year the poppy appeal is met with controversy. People have the misconception that the poppy appeal glorifies was and the funds of the appeal go towards warfare. Nothing could be further from the truth. I am as anti-war as it gets, if I could wave a magic wand and make all war stop I would in a heartbeat. Sadly no magic wand exists. The Royal British Legion does not glorify war, in fact it could be argued that it does the opposite. The funds raised by the charity go towards helping those whose lives have been affected by war (veterans, families of those currently serving, families of those who have lost someone in war). The Royal British Legion wants to remember those who have fallen in the wars of the past and those who are fighting the wars of the present. The reason why I wear the poppy and give money towards this charity is out of respect. Respect for those who fought and who are fighting to keep their county safe. I wear the poppy to keep in mind the people who have lost loved ones because of war and to keep in mind how lucky I am to have those I love kept safe. Another personal reason I have for wearing the poppy is to remember my great grandfather who lost his life in WW2. He never got to meet his son, my grandad, as my great grandma was expecting when my great grandad was sent to fight. Everybody has a right to their opinion so I would never force anyone to wear the poppy but I would ask that they try and understand why others would want to wear the poppy as a symbol of respect. I hope that this post was interesting for you and that you understand the poppy appeal and the Royal British Legion a bit better. I hope you enjoyed this post, why do you wear the poppy? What are your thoughts on the subject? Aw Kim you are such a lovely lady, your comments always put a smile on my face! Thank you so much for your kind words! I'm pleased you enjoyed the post, I hope you are well and you are having a great week so far! Thank you for all your support my beautiful friend!